Life on the World Wide Web is all about websites, and websites mandate usernames and passwords when users log in to access their account and personal information, and so online security came to be. 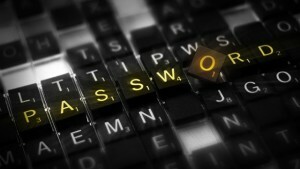 How many times have you been told to pick a difficult password that consists of a combination of letters and numbers? Despite this message that is always given to users, however, many still opt for easy passwords – forgetting that, just as their password is easy to them, so it is to hackers, too. This is the case with SplashData’s own Worst Passwords of 2015 list. The list shows that some passwords remain, after constant warning to ditch them and never use them. Passwords such as “123456,” “password,” “qwerty,” “12345,” “12345678,” and “123456789” remain the top six passwords that are easy security risks for hackers. Considering these passwords were in the top last year, it seems as though some users are still refusing to protect themselves. The password “passw0rd” made it to the bottom of the list for the first time at #24 of the top 25 often-used passwords, but it isn’t that original (the number zero replaces the usual “o”) – meaning that this password will likely be exploited in the coming days, weeks, and months. We wouldn’t suggest using it as a password for any of your websites. “1234567890” made it on the list for the first time at #12. Other top passwords consist of sports (“football,” “baseball”), with even Star Wars references making users easy prey: “solo” and “starwars” among them. “Princess,” “master,” “letmein,” and even “abc123” are frequently-used passwords that aren’t original and are easy hack-ins. These were passwords for 2015, but we have reason to suspect that not many individuals have changed their passwords for 2016. Failure to change these passwords and implement new ones that are harder to crack means that many users have placed themselves at risk for identity theft, credit card theft, login theft, and hack attacks. You can choose and use a secure VPN all day, but if you don’t protect yourself with regard to your passwords, your VPN can’t protect you from weak pass phrases.